Nancy Rivera was born on June 5, 1961 in Brooklyn, NY. Nancy was called by the Lord on February 24, 2018. Nancy graduated from Julia Vizcarrondo High School in Carolina, Puerto Rico. Class of 1979. 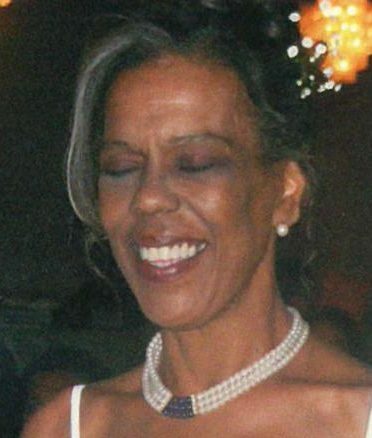 She also birthed her first daughter Josievette Vizcarrondo the same year. The following year she gave birth to her second born daughter Michella Arram, in 1980. Then went along to marry her loving husband Jorge L. Rivera Sr., in 1984. The following year she gave birth to her youngest son Jorge L. Rivera Jr.
Nancy moved to Columbus, OH. where she graduated from Stanford-Brown College in the medical field. Stayed married for 33 years and raised 3 beautiful children, plus others in the community whom also considered her, and treated her like “mom”. She leaves to cherish her memory with husband of 33 years Jorge Luis Rivera Sr., daughters Joievete Vizcarrondo, Michella Akram, son Jorge Luis Rivera Jr., granddaughters Alexis Lugo, Ariella Long, Akir Long, Alicyanna Vizcarrondo, Sasha Rivera, Amilyah Stevens, Christiana Jordan, father Miguel Benitez, sisters Yvette Benitez, Samantha Staley, Yvonne McLoughlin, brother Michael Benitez, She will be truly missed and still very loved. Visitation 2:00pm and Funeral 3:00pm Monday, March 5, 2018 at MARLAN J. GARY FUNERAL HOME, THE CHAPEL OF PEACE NORTH, 2500 Cleveland Ave.
My condolences to the Rivera family, and may these promises from Jehovah God help them to endure. “Do not be anxious….but in everything by prayer and supplication along with thanksgiving, let your petitions be made known to God; and the peace of God that surpasses all understanding will guard your hearts and your mental powers by means of Christ Jesus. “Philippians 4:6-7; Isaiah 25:8 NWT. Nancy was such a sweet, loving, and kind woman. She was so welcoming and loving. Rest Peacefully in Heaven Nancy! Praying for the family. My deepest sympathies go out to the Rivera family. May God give you the peace that you seek. And bring you comfort and may my prayers ease the pain of this loss. Mis mas sinceros condolencias para todos. She will be missed along with her big and bright smile. Dlb and may she rest in peace. Omg I was just looking on Facebook and saw that Nancy had passed away, my deepest condolences to the family if I would have known that I would have been there for the home going. Nancy was such a beautiful soul and person may she rest in peace, we worked together at cendenton shock rd. Eugenia Caldwell.